Life Kingsbury Hospital in Claremont, Cape Town has recently acquired the newest model of the da Vinci robot, the da Vinci X, as of September 2018. This is a first for South Africa and the only da Vinci robot of this nature, in the country. What is the da Vinci X robot? The da Vinci robotic system is a surgical system that allows the surgeon to perform minimally invasive surgery through just a few tiny incisions. 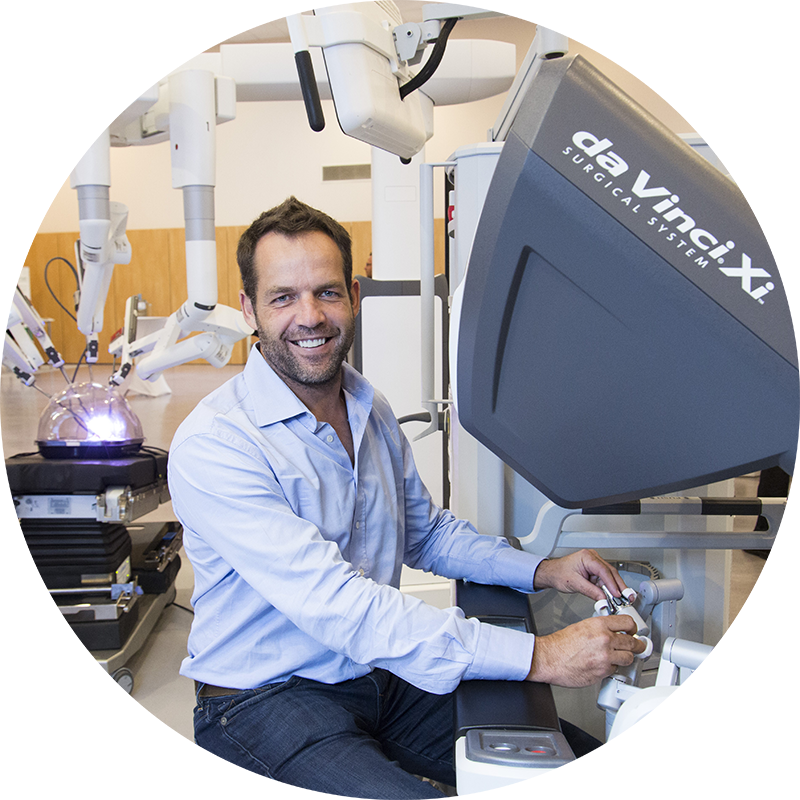 Dr Moolman is exclusively using the newest and most technologically advanced da Vinci robotic system. The machine works by translating the surgeon’s hand movements into precise movements of the surgical instruments, allowing the surgeon complete control throughout the procedure with 3D digital optics. The new surgical system has a sleek new design with improved functions, better high-definition (HD), voice and laser guidance and includes a fully integrated endoscope. The arms of the new da Vinci X also provide the surgeon with a longer reach and a narrower profile to perform intricate surgery. Thus this newer model enables focused-quadrant surgery including prostatectomy, partial nephrectomy, benign hysterectomy and sacrocolpopexy. Although the da Vinci X is the newest model of the da Vinci robotic system, the interface of the robotic machine is the same. Like that of the da Vinci, the da Vinci X has two sections: the tower and the console. The tower is then placed over the patient during the surgical procedure. The tower comprises of four arms, of which three hold the tiny surgical instruments, and one holds a high-definition 3D camera. The arms on the tower are controlled by a computer system, making this a robotic surgical system. This computer system then works by translating the surgeon’s hand movements into movements of the surgical tools inside the body. The console of the robotic machine is the area in which the surgeon sits to operate the robot’s controls. The surgeon will look into a special monitor which will allow him to see a 3D view of the internal body. From the console, the surgeon is able to fully control the robot’s arms by using controls in the console area of the machine. Because surgery performed with the da Vinci X robot is as minimally invasive as previous models, patients who undergo robotic surgery experience minimal scarring, and generally have a very quick recovery time. The risks involved with the da Vinci X robotic surgery are the same as those of the previous models in that there is generally less pain, less risk of blood loss and a largely reduced risk of infection.